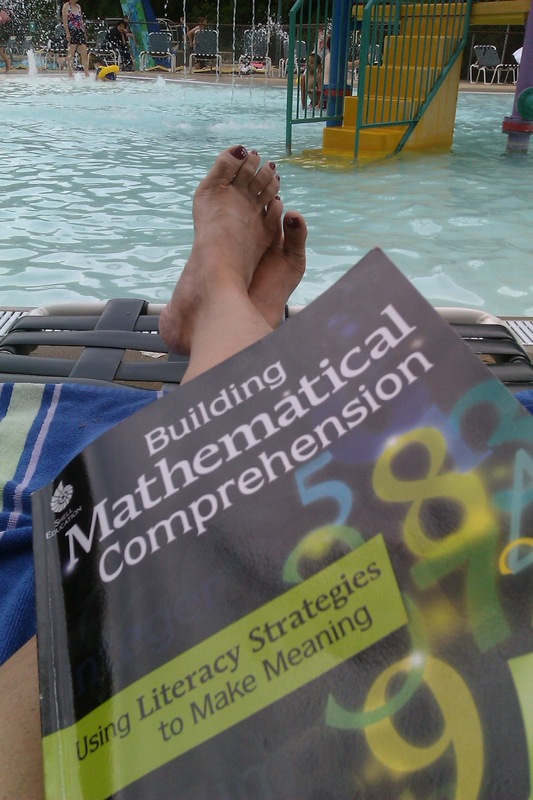 Primary Inspired: Building Mathematical Comprehension ~ Chapter 2! 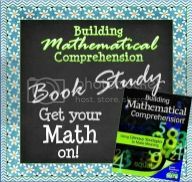 Building Mathematical Comprehension ~ Chapter 2! Sorry I'm a little late with my post on Chapter 2. I've been enjoying summer as best I can this week. Two days of PBL training Monday & Tuesday, a ton of errands and appointments the rest of the week, and I finally got to spend some time by the pool today! One of my favorite things to do is to sit by the pool and read. I am LOVING this book, people! Chapter 1 was just packed full of information, and really got me excited for what was ahead. Chapter 2: Recognizing and Understanding Mathematical Vocabulary was packed just as full as the first chapter, gave me some great ideas, and really got my mind churning with thoughts and plans! I know none of us would argue about how important vocabulary is to student success. And I'm sure most of us are aware of the studies that show the marked difference between the vocabulary of more privileged children vs. less privileged. By the age of 4, more privileged children have heard 10,000-20,000 different words. In contrast, less privileged children have only heard 5,000-10,000 different words. That's a huge difference! But, even more striking is the fact that those words that are critical in reading and mathematics comprehension occur after those first 10,000! "Similar to learning a foreign language, explicit teaching of specialized vocabulary is a critical component of mathematics instruction (O'Connell 2007)." "...as teachers we should consider every students a mathematics language learner regardless of his or her level of English proficiency (Thompson, et al. 2008). Well. I've never really thought of mathematical vocabulary as a foreign language....but I'm sure it feels like it to many! (It certainly explains those quizzical looks I get sometimes! Ha!). Seriously, though...it certainly points to how vital vocabulary instruction is, doesn't it? Get rid of those look up the word and write the definition exercises! Kiddos need to use both words AND non-words (pictures, mental images, &/or acting it out) to represent a word. You need to provide multiple exposures. Teach those word parts so kiddos can figure out a word meaning. Different words need different types of instruction! Math words, for example, need to be taught in context and with concrete, hands-on methods. Kiddos need to talk about & use the words. Focus on terms that will give you the biggest bang for your buck - the ones that have a high probability of enhancing academic success). Step 1- In your own words, describe or give an example of the new term. Step 2- Have students restate in their own words. Step 3- Have students create a picture of what the word means. Step 4- You might have students record the meaning & the visual representation of the word in a notebook or journal. At this time, kiddos might revise them. It's also a good time to have kiddos self-assess their current understanding of the terms. Step 5- Use the words in discussions (This is important- it moves the word from receptive vocabulary to productive...when kiddos can actually use it in speaking and writing). Step 6- Play games with the words. When you introduce a new term, make sure you explicitly link it to prior knowledge. You are probably great at that....but I'm not sure I am, & I can use the reminder. Wait to introduce new terms until after kiddos have had a chance to explore. "In other words, allow language to follow concept development" (Thompson et al. 2008)." Boy-- I am BAD about that! I tend to introduce the new word and then dive into the lesson or activity. Yikes. Like I said, this chapter is PACKED! There's more fabulous stuff to come about Vocabulary Notebooks, Math Word Walls, and Games. Come back for tomorrow's post to read more about it! Meanwhile, check out others' posts about Chapter 2! Or better yet, link up your Chapter 2 thoughts! Please grab a copy of the button to add to your post! I agree that introducing new terms after students have explored the concept is a definite mindshift. Experience then label! I just read the first two chapters, and am enjoying this book. Thanks for the great read selection! The explicit teaching of new vocabulary really stood out for me in this chapter as well. The area where I teaching in Canada is almost 100% immigrant, either first or second generation. Most students either learned another language in their home country or only spoke another language before starting school in kindergarten. This chapter really opened my eyes to how much more vocabulary instruction I should be doing in all areas.